Label Printing Machines – Dalemark® Industries Inc.
Often times, if you are unaware of what type of machinery may be best for you and your application, these manufacturers will be able to point you in the right direction or suggest an exact piece of machinery that will satisfy your needs. From label printers to high quality, industrial grade label applicators there is a label printing solution for virtually every application. Labels are found in virtually every industry and application out there. Some of these applications even require labels to be present in order to convey important information. With such a great variety in labeling applications, there are also many different options and factors to consider. You should consider what style of label you need, whether it will be placed horizontally or vertically, and where and on what material the label will be printed. All of these come into play when considering what type of label printing machine will be right for you. To put it simply, label printing machines can be broken down into the general category of machines that produce labels and/or apply them to products. From dispensers and printers to applicators and every other type of label making system, the right label printing machine can make a world of difference. 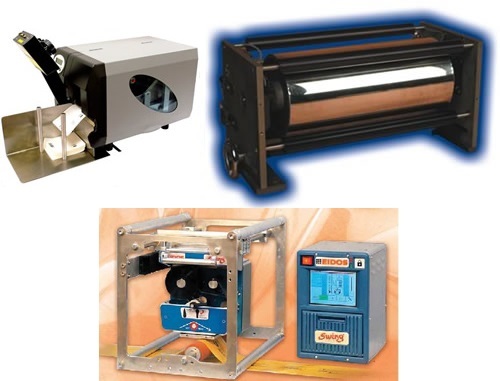 There are three different main styles of label printing machines, no matter what industry you are in. Large industrial sized models, intermediate models, and smaller, manual hand held options for applications that do not require the size or permanence of the other two options. All of these options provide their own unique benefits and advantages within certain applications. If you require assistance in deciding which is right for your requirements, consult with a trusted label printing machinery manufacturer. With years of experience and an abundance of knowledge from working with companies similar to yours, these manufacturers will be able to listen to your application and determine the right type of label printing machine for your needs. Label Printing Machines Label printing can look rather different depending on your environment and the unique requirements of your application. This is why it is a great idea to know exactly what type of label printing machine you are looking for before you submit any inquires to label printing machinery manufacturers.